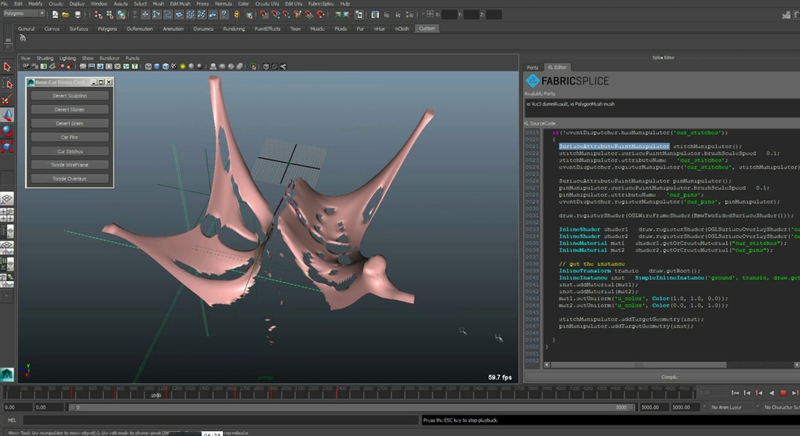 [ #vfx ]Montreal -- Fabric Software announced version 1.12 of Fabric Engine, the development framework for high performance visual effects tools. 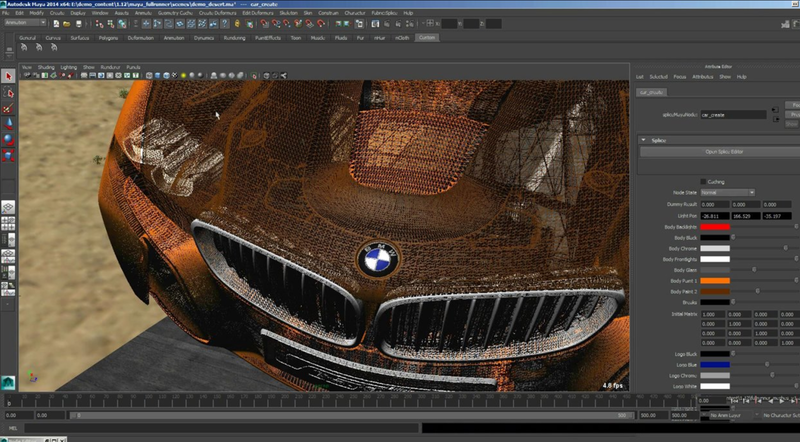 The new version enables studios to easily harness the power of GPU computation and includes a new character tools API, as well as Splice Drawing, a highly customizable integrated real-time renderer. Using the graphics card (GPU) for computation can be extremely powerful but until now, it required specialized programming expertise and explicit coding for target hardware. In contrast, Fabric Engine enables TDs, as well as R&D engineers, to write code that can execute on both the GPU and the CPU with no additional coding required. It is then simply a matter of testing to see where it runs fastest. Zero cost experimentation means many more tools can be GPU-accelerated. 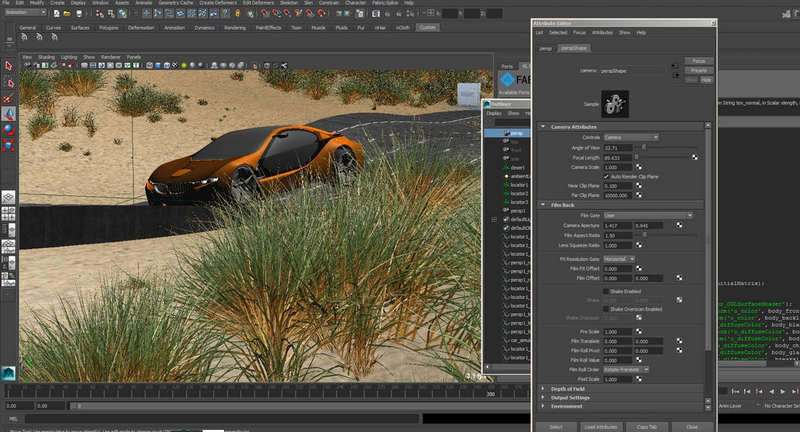 Splice Rendering is a highly customizable real-time renderer that comes as part of the Fabric Engine integration with Autodesk’s Maya and Softimage. The performance gains are impressive compared with rendering within the host application alone. 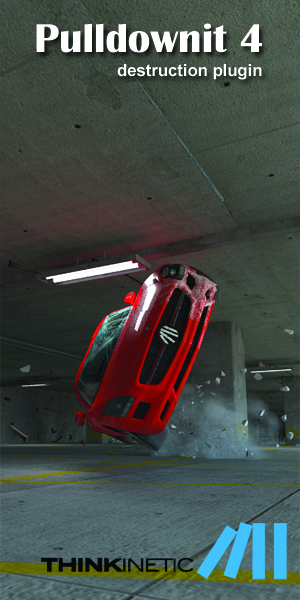 Performance tests included a Bullet simulation with 1500 instances and 4096 x 4096 textures that achieved 96 frames per second. Combined with Fabric’s work on the GPU, this means it is now possible to have multiple complex characters running at real-time directly within the regular DCC application. 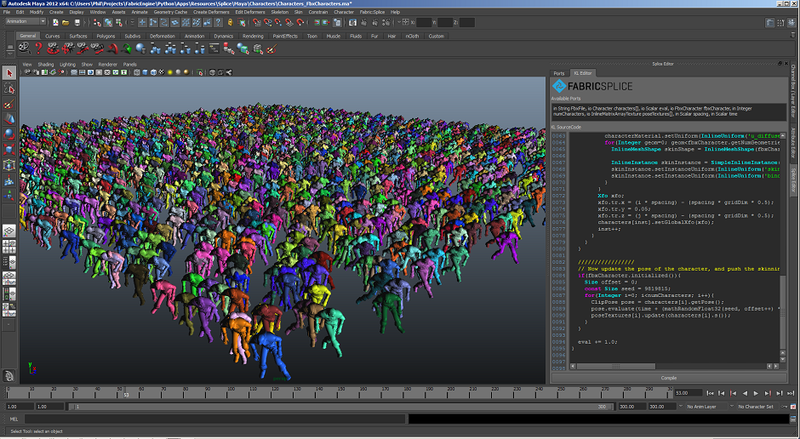 Fabric now includes a character API with core building blocks for constructing high level character tools, including crowd simulation, scene assembly and real-time pre-visualization. 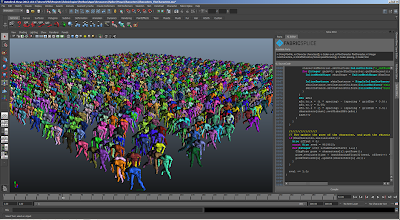 Easy-to-use and extensible, it supports FBX and proprietary-format characters, plus integration with Splice Drawing for real-time rendering.